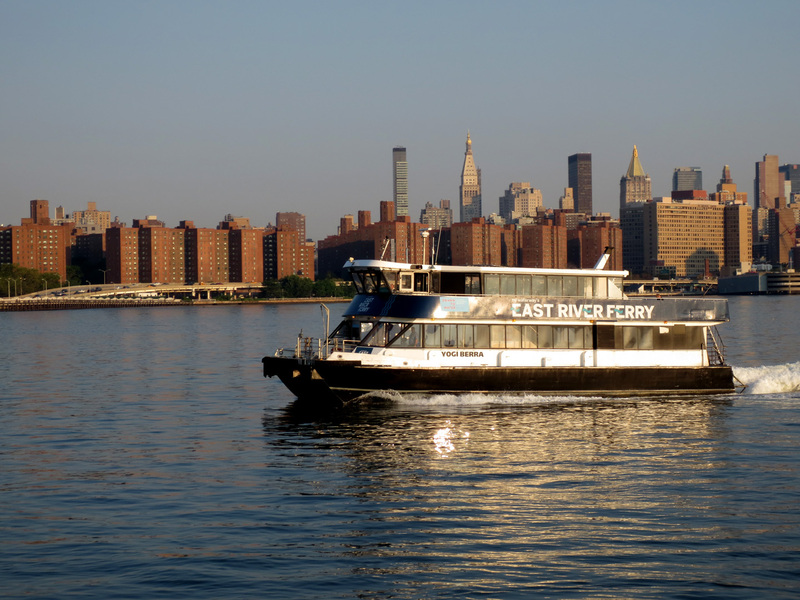 The East River Ferry was launched in June 2011 as a three-year pilot project. The project was so successful that it was extended this winter to continue through at least 2019. 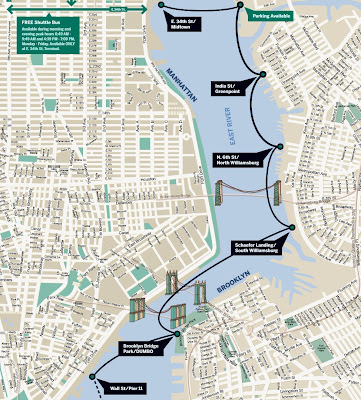 The East River Ferry currently stops at terminals in Long Island City, Brooklyn Bridge DUMBO stop (Brooklyn side), Williamsburg, Green Point, Wall Street, and Midtown Manhattan. 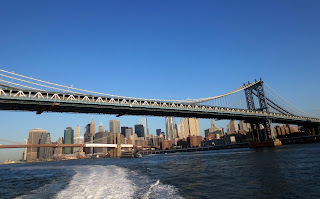 The ferry runs in two directions from Brooklyn Bridge - southbound to Wall street ( 5 minutes ride) and northbound – to East 33 in Manhattan. If you ride the full length of the route as I did on early July morning - from DUMBO( acronym for Down Under the Manhattan Bridge Overpass) up to Midtown , you feel like you are on an attraction. You can see The Freedom Tower rising in the south, United Nations building to the north. 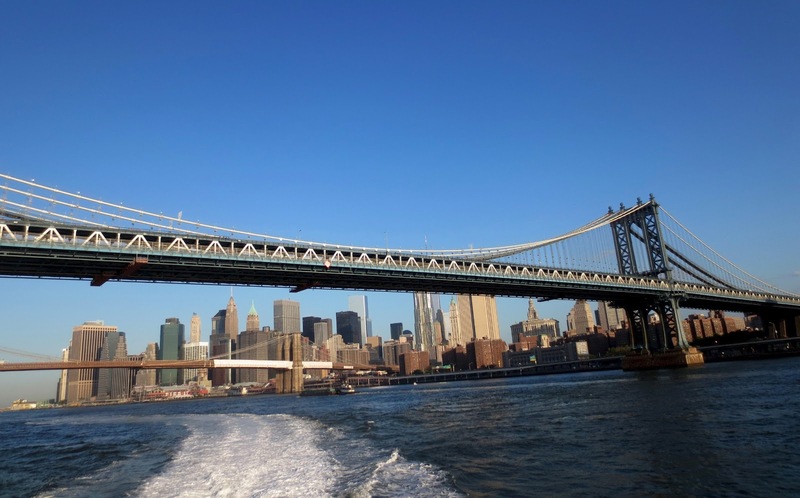 You'll pass under three bridges, each over 100 years old - Brooklyn bridge, Manhattan Bridge and Williamsburg Bridge. The views from the ferry are amazing! The price is $4 for a one way trip and $12 for an all-day pass. And there is free connecting shuttle bus that runs on a loop through Midtown. The ferry runs every 15- 20 minutes in morning and afternoon rush hours of working days , and every hour during the weekend day. Total ride form DUMBO to Midtown is 20 minutes. The full schedule can be found here. 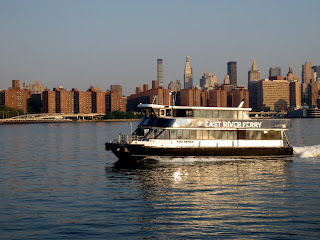 The first East River ferry was established in 1642 by Cornelius Dircksen, connecting present day Williamsburg, Brooklyn to a small Peck Slip street in Manhattan, where Dircksen kept an inn. Originally, all East River ferry boats were either row-boats or pirogues (small, light, flat-bottomed boats). In 1814, the Catherine Street Ferry became the first horse-boat ferry to cross the river. Horse-boats were twin boats connected by a wheel at the center, which horses would power by treadmill. 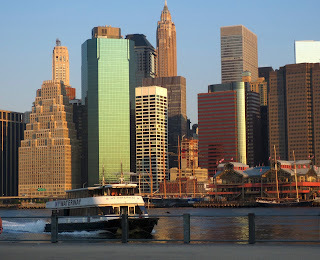 At the same year Nassau of the Fulton Ferry Company became the first steamboat ferry on the East River. Although steamboats were much faster than horse-boats, they were more expensive to make. In 1824 Supreme Court ordered an end to the Fulton and Livingston monopoly and the steamers became open to public competition.As the Brooklyn population quickly grew, transportation between Long Island and Manhattan became increasingly valuable. By the end of XIX century the Union Ferry Company of Brooklyn had 17 vessels and carried about 40,000 passengers annually. The vessels were really large with the biggest being over 651 tons, 180 ft., Those ships were so strong that the government chose to borrow seven of them during the Civil War. In 1883 there were twelve ferry routes using ten different ferry terminals in Brooklyn and eleven in Manhattan. 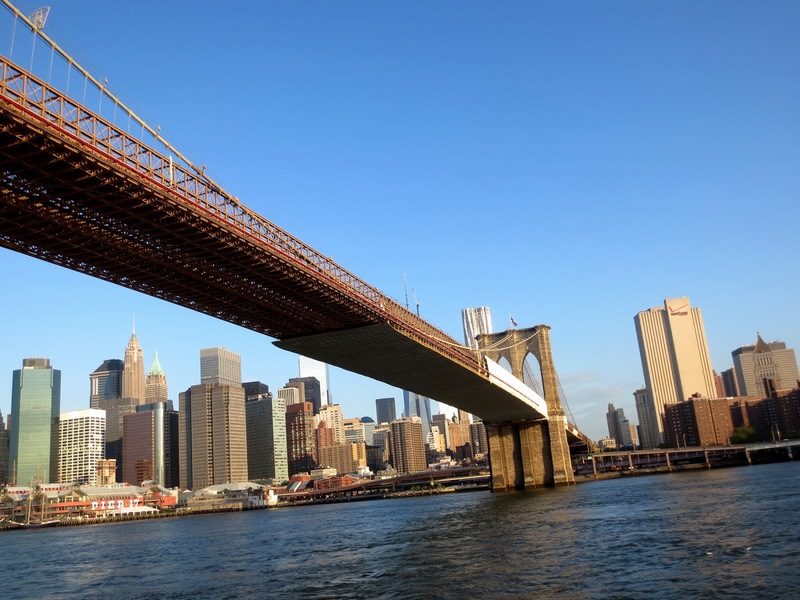 The Brooklyn Bridge was built in in 1883. It was the first bridge between Manhattan and Brooklyn. Between 1907 and 1917, ferry traffic decreased by 35%. By the 1920s, the Union Ferry Company’s Fulton Ferry House, once referred to as the “Great Gateway to Brooklyn,” was serving only few passengers and horse-drawn vehicles. The Fulton Ferry House was closed in 1924. The free ferry from Brooklyn Army Terminal in Sunset Park to Pier 11 in Lower Manhattan was started just days after the terror attack, 9/11. 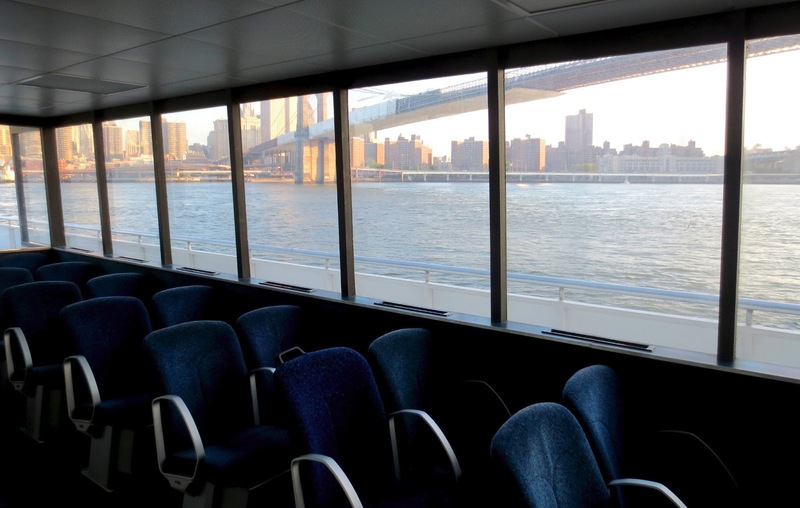 This ferry was a blessing for commuters at this time- Brooklyn Army Terminal has a huge parking lot. This ferry was shut down in the spring of 2003, after the N and R subway lines have been restored. 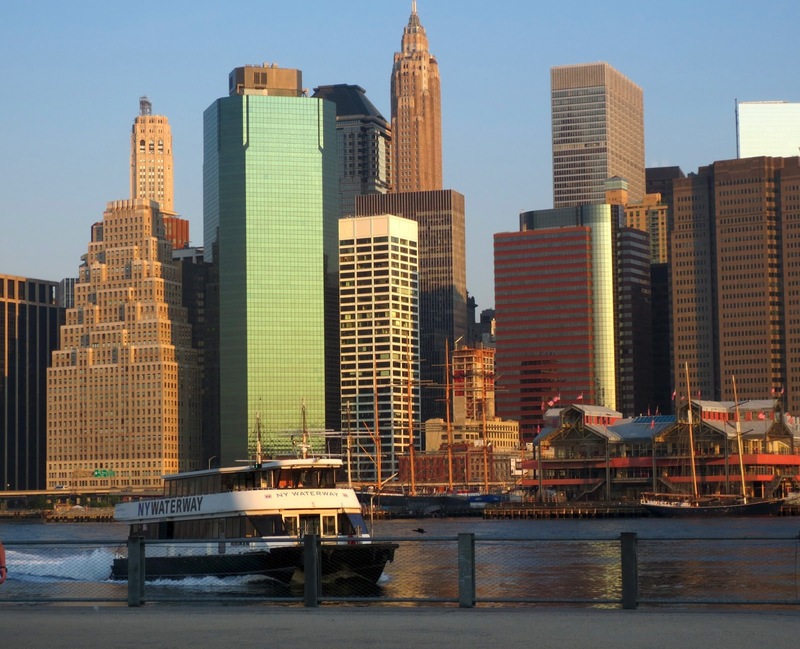 New York Water Taxi runs a daily shuttle from Wall Street's Pier 11 in Manhattan to Brooklyn's IKEA superstore dock. The shuttle runs from 2:00pm – 8:00pm on weekdays and costs $5.00, And you can even get $5 back if you spend more than $10 in IKEA. 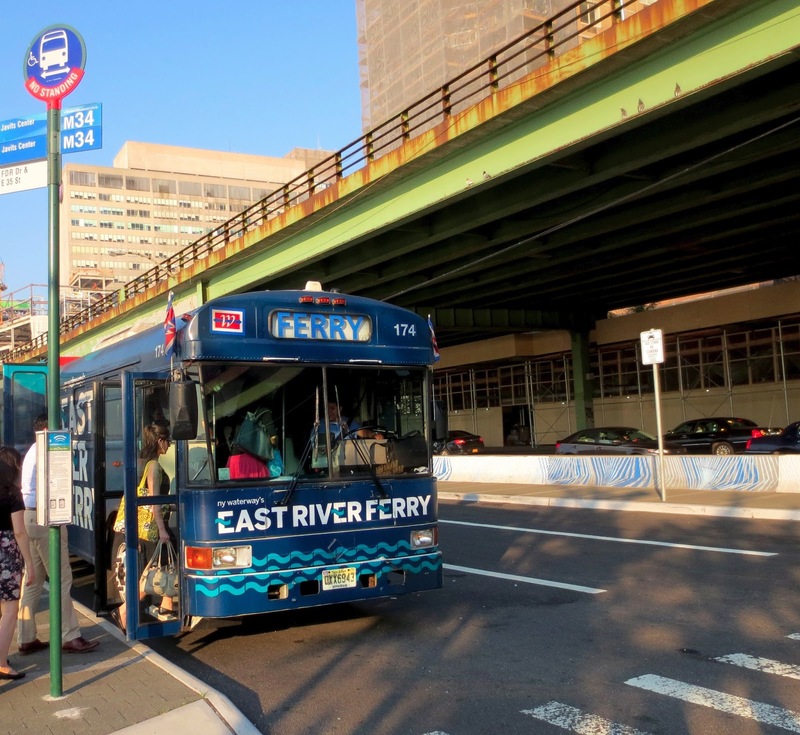 Now City and federal officials are looking now for funding from Washington to expand the East River Ferry, launched in 2011, and push a plan that would bring the waterway service to Astoria's developing Hallets Point peninsula and several other city neighborhoods. 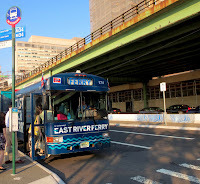 There is a ferry service between Beach 108th Street and Beach Channel Drive on the Rockaway Peninsula (temporary landing was installed) and Pier 11 in Lower Manhattan in the aftermath of Hurricane Sandy, that destroyed Far Rockaway in October 2012. The price is on the weekday is only $2! The service starts at 5:45 a.m. in the Rockaways with ferries departing for Manhattan regularly until 9:20 a.m. Weekday ferry service will continue to operate on its current schedule through Labor Day weekend 2013. There is a weekend beach service with more expensive fares: $30 roundtrip for adults.